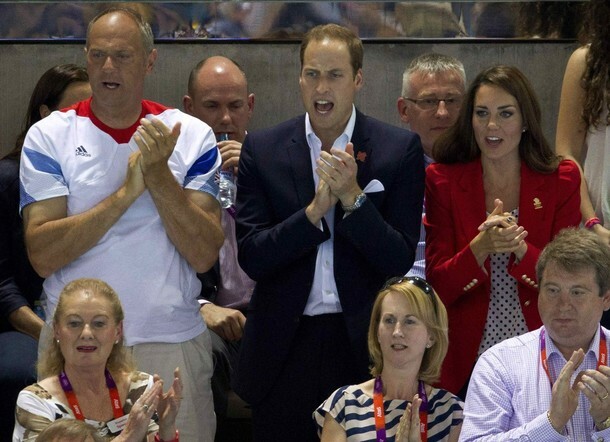 After visiting Team GB House William and Kate went to the Aquatics Centre to watch the swimming. Kate put her hands over her eyes as the race finished. Team GB's Rebecca Adlington came third and said she was 'proud to get a bronze'. 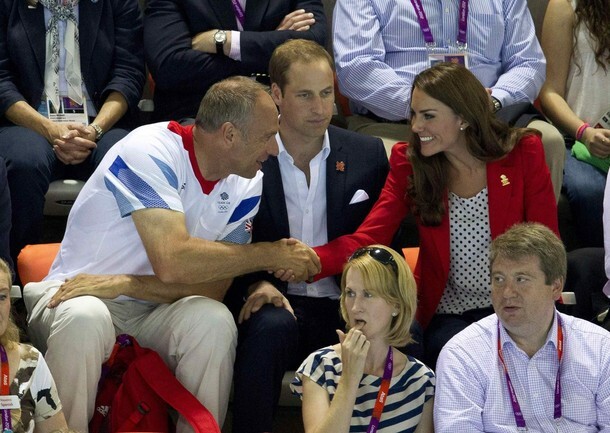 Kate shaking hands with Olympic gold medallist in rowing Steve Redgrave. 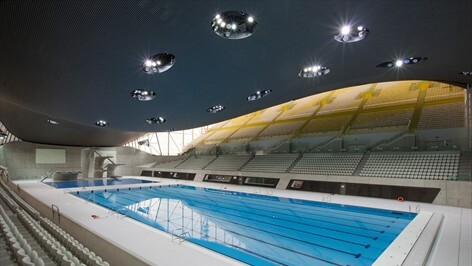 The Aquatics Centre is one of the permanent venues specially designed for London 2012. Designed by internationally acclaimed architect Zaha Hadid, it forms part of the gateway to Olympic Park. More than two thirds of spectators will enter the park at the south-east corner via a bridge that forms part of the venue's roof. 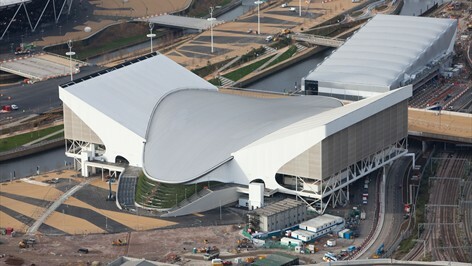 The centre has a capacity of 17,500 and a spectacular wave-like roof, 160m long and 80m wide. 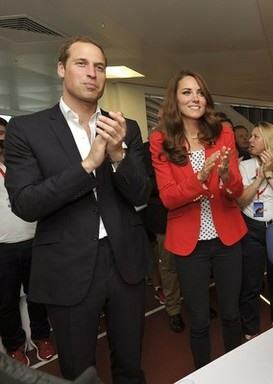 Kate wore the red ZARA Blazer with gathered shoulders. It is available for £70 and a lovely choice. A closer look at the detail. 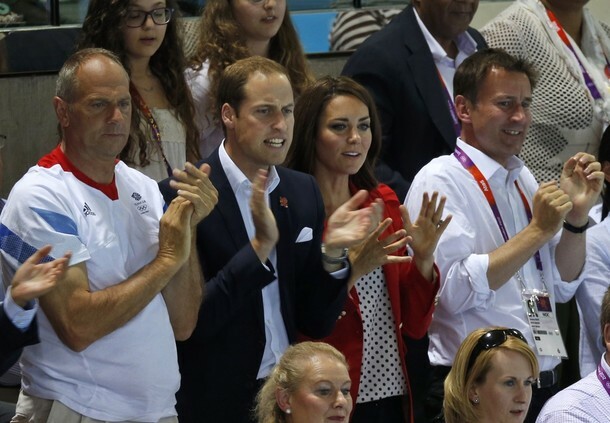 Kate is also wearing a pretty white and navy polka dot top, a gold London 2012 pin on her lapel. It has been a very busy day for Kate. In case you missed anything I have made a page (with the help of my very patient fiancé :)) with all of Kate's London 2012 engagements and appearances. You can view it here. I will update it daily until the Olympics end. In other news, Andy Murray has made it to the final and will play Roger Federer Sunday afternoon. 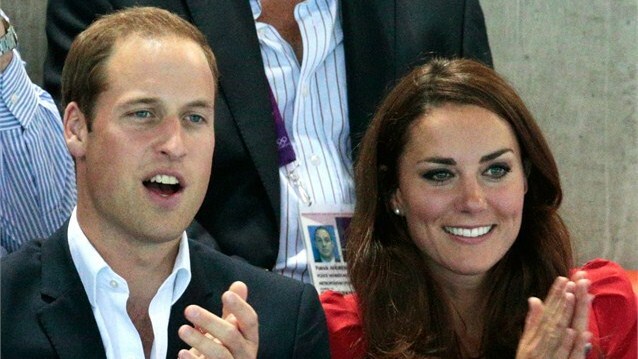 Definite possibility for William and Kate. We'll finish with a very quick note on comments. Sometimes comments are put in my spam folder which do not belong there. If you don't see your comment published don't hesitate to let me know. A lady named Nora commented on July 27 and I just saw her comment now. It was an incredibly kind comment and I want to say a belated thank you to her, and of course a huge thank you to each one of you who take the time comment and participate in discussion. It makes the blog so much more interesting. I would love to see she using lighter hand on makeup someday...She looks pretty but sometimes I feel her makeup is too heavy. I agree, her face looks puffy and the make-up looks horrendous. I am a big Kate fan, I think she is super stylish, and I like today's outfit, but I don't understand why she had to change in the middle of the day. I thought the point was not to distract from athletic performances? She changed because they were holding a reception for volunteers and military. Seems like good manners to me. here video hope that work...check it out from interview with BBC i think.. 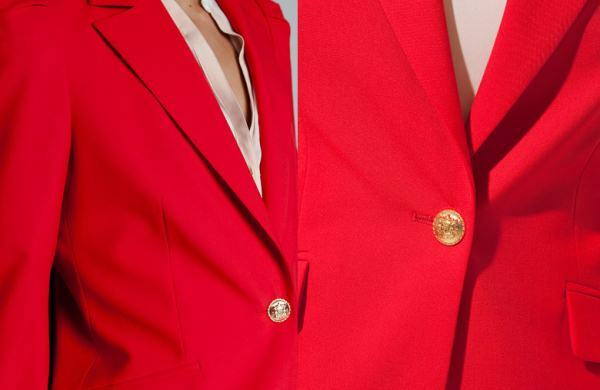 I love this red jacket!!! It suits her so well. As a tall slender woman with a small frame the Duchess can wear all the pleats, pinches, ruffles, etc. she wants (I can't!). Not only do I love the jacket but paired with that playful polka dotted shirt makes the whole ensemble an absolute winner!!! And totally "repli-kate-able"! Second, I suspect that if Kate does go to the Wimbledon final on Sunday it will be w/out Wills because doesn't he go back to work? I think that's why all her Olympic events next week are solo and it's just her and Harry at the Closing ceremonies. I just added a link to one of the interviews. In some photos the polka dots look black and in others navy but I do think you are correct. Thank you. 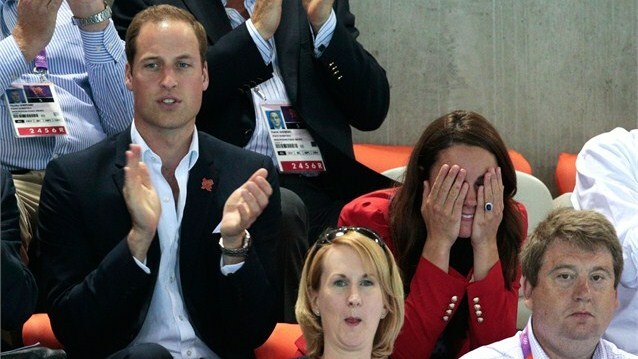 It's highly possible if Kate goes to Wimbledon it will be with Pippa, for sure. I love me some Kate, but who do we have to pay to get her out of those Stuart Weitzman wedges? I wish she would wear a simple pair of ballet flats to some Olympic events. Love your blog! I am a Kate follower from the States. You always post amazing pictures and updates of her public appearances. Great blog and thank you for sharing your updates!